Seeing the icon, title and description, you think that using the built-in Feature block type would be good for this type of content. Unfortunately, this markup is nothing like the Feature block's standard markup. You could modify the stylesheet that came with the aforementioned HTML to style Concrete5's elements. But it might just be easier to change the output of the feature block to match the output of the HTML in the first example. Doing that is simple. I'm going to do exactly this, using the Image Slider block on my own site, currently in development. 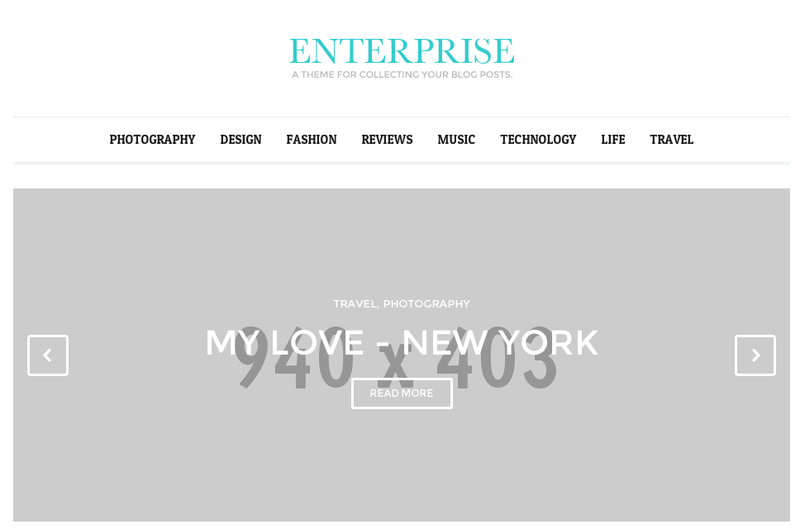 The theme on this site is a modified version of Enterprise, found on Themeforest. It's a nice theme with a lot of bells and whistles that I look forward to getting into Concrete5. 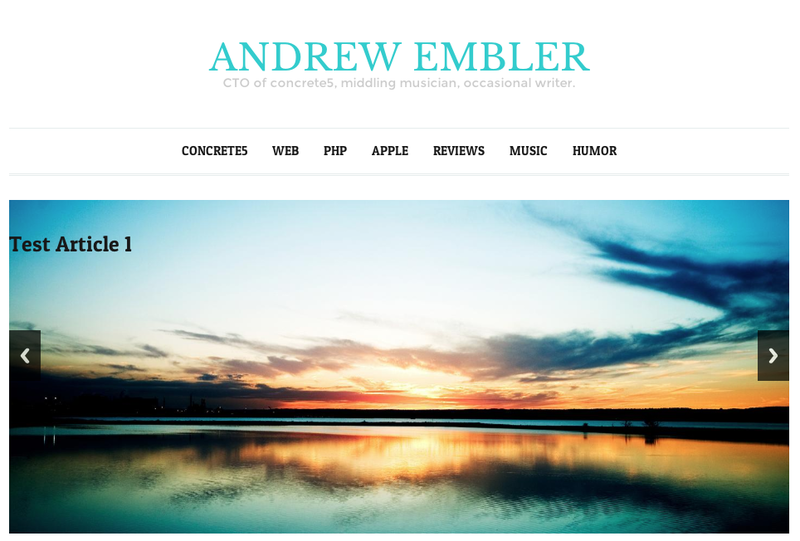 It is pretty opinionated in its CSS, however, and I don't really want to try and make its CSS conform to the built-in Concrete5 image slider block's HTML output. It'd be easier to just use the Enterprise image slider HTML any time the Concrete5 image slider block is placed in the page. Before I start, I'll an instance of the Image Slider block into an area in the middle of the page. I select my images and put in some text, and…voila! ￼ This does not look great. Here's how it's supposed to look, according to the HTML that was delivered with the theme. There's a simple reason for this: the HTML that is styled by the Enterprise CSS isn't present in my image slider. Since there's so much going on in this theme, it'll be easier to match the HTML to what the theme is expecting, rather than go through the CSS and change it to match the HTML. Let's make out Image Slider match this output. First, turn off overrides caching via Dashboard > System & Settings > Optimization > Cache & Speed Settings. Until this is turned off Concrete5 won't look in the application directory unless it knows it has a file in there. Then, we copy the Image Slider view template into this directory. We make sure to keep all the existing variable names injected by the block (the $rows array which corresponds to the images added, their titles, descriptions, links and file IDs.) in place, and retrieve File objects from these variables in the same way. It's really just the HTML around these calls that we're messing with. We don't have access to any additional data in this view template than we would have normally. Since we don't have access to any additional data in this template, the "Travel, PHOTOGRAPHY" categorization text is currently hard coded in the new image slider template. We're either going to have to fork the block to add another piece of data about each slider item, or we can just delete this line of HTML in the updated image slider template. This will change the Image Slider view HTML in all cases where the block is used, unless the block uses a custom template. Make sure that this is the desired effect. That's all you have to do to modify the output layer of a block for use in your custom projects. In many cases it's best to use Concrete5 CSS classes and markup in your themes, so that you know the block types will render nicely within them. But if you don't have control of your HTML from the beginning, this can often be easier than trying to change your CSS to match Concrete5's HTML.